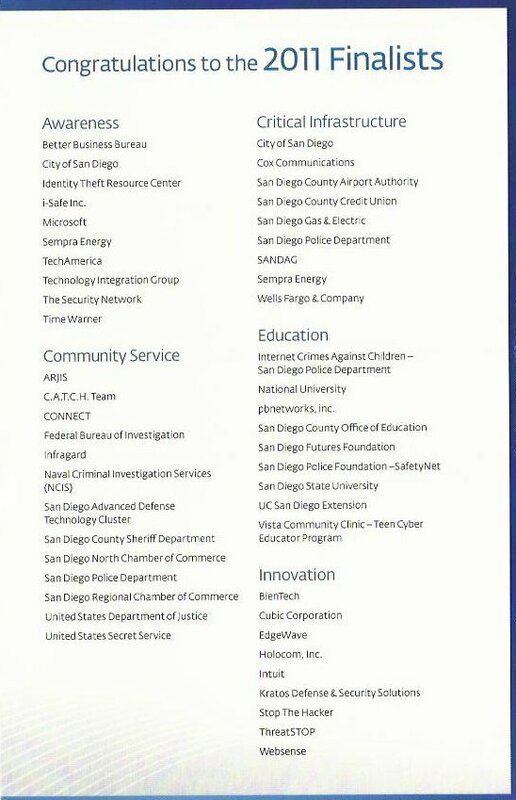 The San Diego 2nd Annual Fall 2011 Cybersecurity Awards was on October 25, 2011 at the Sheraton San Diego Hotel & Marina. The event was sponsored by ESET, San Diego Business Journal, AIS, Bridgepoint, Microsoft, Norman, SDGE, and the Security Network. The categories were Awareness, Critical Infrastructure, Community Service, Education, and Innovation. 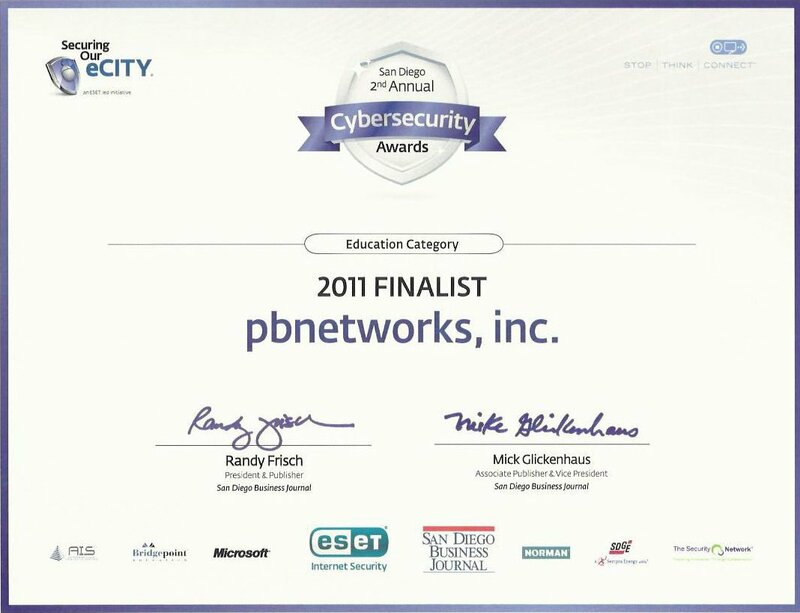 Pbnetworks Inc. was a finalist in the Education category for our work in publishing network security articles in various publications around the world.